A 59 year-old woman walks into boutique in Zürich and asks to see a handbag that’s on display. The shop assistant replies “No, it’s too expensive…you won’t be able to afford that”. Like you, I also thought this was a strange response. If a customer asks to see a product you show them, don’t you? Now, I’m no expert on customer service etiquette in Zürich but I thought it would be similar all over the world. Well it turns out that this 59-year old woman was Oprah Winfrey, who is said to be the only African-American billionaire in the world! Apparently the bag costs £24,477 and after asking the assistant a second time to see it, to which the assistant refused to show it to her, Oprah said “maybe you’re right, I probably can’t afford it”, and left the shop. 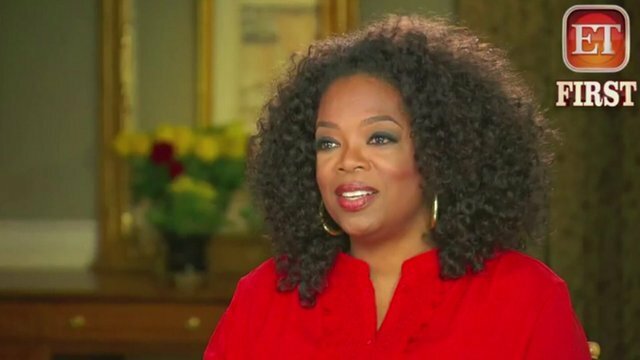 You can see Oprah’s interview via the link at the bottom of this post. It’s quite ironic that a billionaire is told they can’t afford something. When I first heard about this I thought, if another 59 year-old woman walked into the shop and asked to see the same bag, would the conversation be different? Let’s say the woman had a similar height and build to Oprah, with creamy coloured skin infused with a hint of a St. Tropez fake tan. Deep set pear green eyes with a trio of light wrinkles radiating like a delta from the outer corners. A long aquiline nose and round button shaped lips; her crowning glory, a wavy two-tone blond shoulder length hairstyle. Would she have been shown the bag? No introduction needed, you know who she is! According to the shop owner, English is not the assistant’s mother tongue so there was probably just a ‘misunderstanding’. However you look at it, Oprah was judged because of the colour of her skin. This isn’t really about knowing who Oprah Winfrey is, because you shouldn’t have to be black and famous to receive general customer service. Maybe the shop assistant isn’t used to meeting rich black people and all the those she has encountered in Zürich are poor immigrants? I don’t know, I’m speculating, but even if this is the case she can’t judge every black person in this way. There may be some poor black immigrants who live in Zürich, but there are also some rich ones too, like Tina Turner. Black people are usually stereotyped negatively as a whole, in certain social situations. Don’t get me wrong some do fulfil negative stereotypes, as do people from other races! Recently in the UK there have been some terrible cases of paedophiles sexually assaulting and killing children. The most notorious case this year was that of April Jones (you can Google the story if you want). From the stories captured on the news and historically from what I can remember of the worst paedophiles in the UK, they seem to white middle-aged men who live alone (although Ian Brady did commit his crimes with Mirah Hindley). So from what I’ve seen on the news, there seems to be a higher proportion of white middle-aged men committing these types of crimes. Despite this, I wouldn’t automatically assume that the majority of white-middle aged men are actually paedophiles! You may think that this comparison is a bit extreme, but it isn’t. You can’t negatively stereotype or profile someone because of the colour of their skin. Even if, in your view there is a proportion of people within a particular race that behave in a specific way or have a particular socio-economic status. I don’t think racism will ever be eradicated; it’s an entrenched institution stretching back hundreds of years. Some people think if everyone was mixed-race there would be no racism. Some people think if everyone was ‘colour blind’ there would be no racism. As human beings we need to change our mentality. This is probably one of the hardest things to do. There are various races on planet Earth, and being ‘mixed’ is a very broad category containing distinct differences. We should be able to see the colour / appreciate the cultures of different people without feeling scared or hateful of it. There is nothing wrong with being a different race from someone else, that’s what God intended! Like most things in life racism is not exempt from change and now seems to have two facets, overt aggression and an insidious undertone. Check out the interview below to find out how it shows up for a (black) billionaire!